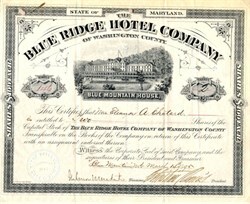 Beautiful RARE certificate from the Blue Ridge Hotel Company issued in 1895. This historic document was printed by A. Hoen Lith of Baltimore and has an ornate border around it with a vignette of the Blue Mountain House with a horse driven carriage passing by. This item has the hand signatures of the Company�s President and Treasurer and is over 117 years old. 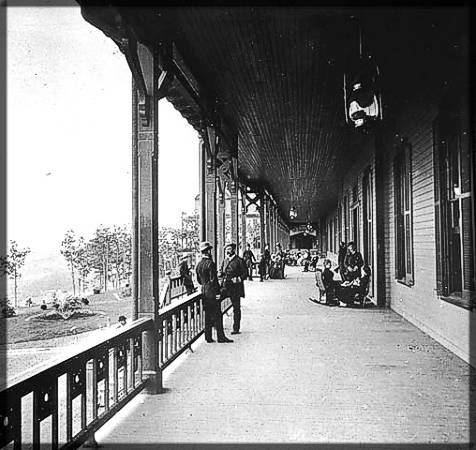 The company was incorporated in 1883 in the State of Maryland. 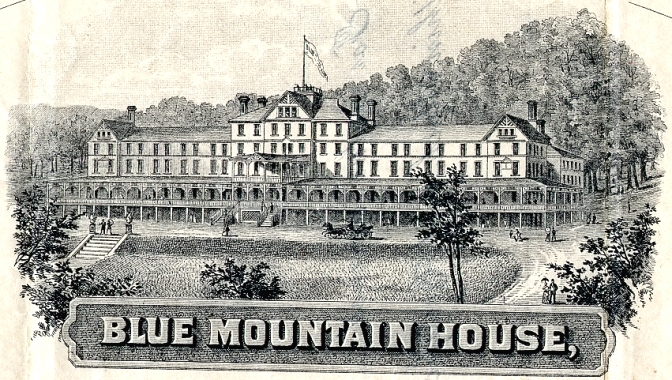 The hotel was located in Western Maryland in the Blue Mountains and was able to accommodate 400 guests.